Invectys will be at the Annual Meeting is organized by American Society Of Clinical Oncology (ASCO). This meeting will be held during Jun 2 – 6, 2017 at McCormick Place – Chicago, Illinois, USA. The Annual American Society of Clinical Oncology (ASCO) Meeting brings together over 30,000 oncology professionals from around the world. Educational sessions featured world-renowned faculty discussing state-of-the-art treatment modalities, new therapies, and ongoing controversies in the field. Science sessions presented the latest ground-breaking research in oral and poster format. 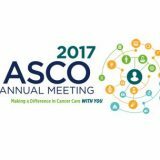 The ASCO Annual Meeting is one of the largest educational and scientific events in the oncology community. The five-day event provides a venue for physicians and scientists to present research results to a global audience of oncology professionals. Clinical trial results and updates presented at ASCO’s Annual Meeting represent the extent of progress made each year in the fight against cancer.